*To qualify, you must enroll in the online MBA program and continue past the allotted drop/add period. Why a Master of Business Administration? The online MBA program is designed to provide the flexibility that professionals need to balance family, work, and school. An MBA from Keystone helps students develop the necessary knowledge and skills to conduct successful business in both a domestic and international context. 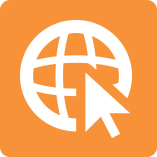 More importantly, every online student is truly part of our Keystone family which means you’ll receive the same level of personalized support online as you would if you were on campus. Most courses are 7.5 weeks in length and the program can be completed in 1 year if attending full-time or 2 years if attending part-time. Develop a mastery of business fundamentals while acquiring the knowledge and skills to conduct successful business in both a domestic and international context. Develop lasting networks with your peers. These connections can lead to a promotion at your current job or even new opportunities in your career. Salaries for MBA graduates vary depending on area of interest. On average, an MBA degree can deliver a 6-figure income over a period of 20 years. 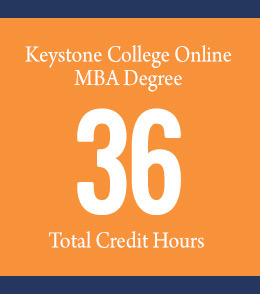 Entrance requirements for the online MBA program at Keystone College include a bachelor’s degree from an accredited institution and a 3.0 GPA on a 4.0 scale. * An undergraduate degree in business or business-related program is preferred but not required for admission. Individuals who have not attained a business or business-related degree must successfully complete one economics, one accounting, and one finance course as part of the MBA program and achieve a GPA of 3.0 or better in that coursework. The Office of Admissions reviews applications on a rolling basis throughout the year. However, we recommend that you apply as soon as possible to get started on your bright new future right away! Courses begin at several convenient times year-round. *Students with a 2.50-2.99 will be considered for provisional admission. 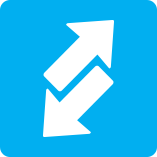 If accepted provisionally, students must earn a “B” or better in each of his/her first two courses to be fully accepted and remain in the program. Any additional requirements for full acceptance will be communicated to the student in writing and must be met by the date provided. Contact online admissions for questions regarding provisional admission and the next start date. Tuition is an affordable $575 per credit hour. Alumni of Keystone College who are enrolled in a Master’s degree program at Keystone College are eligible to receive a 10% discount. 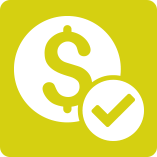 To receive federal financial assistance for our graduate programs, you must file a FAFSA and meet eligibility requirements. Find out more here. Our FAFSA school code is 003280. If you’ve already earned applicable graduate level credits from a regionally accredited institution with a B or better, they may be accepted for transfer to Keystone. Students can transfer in up to 9 of the 36 credits required for graduation. At $575 per credit hour, you can earn an MBA for less than the cost of other programs at traditional brick-and-mortar institutions.